Kody | Mutt in Edmonton. 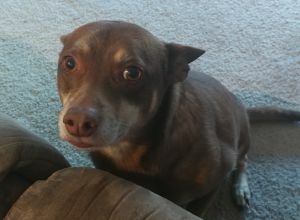 Kody is a chihuahua x. He loves any kind of attention especially pets and walks, he doesn't play fetch or any other games but loves just walking around. He is great with kids and other dogs. I am a mom from the south side of edmonton with a dog who never gets enough attention.